It's very likely that this yacht came from the same molds as those used to build the NUTMEG 24, originally by Tanzer Industries. Neither the NUTMEG 24 nor the HUGHES 24 were produced in great numbers. Some time later, it is thought that molds were modified to build the HUGHES 25 which proved to be far more popular. Thanks to Jack Gutter for his help in sorting this out. 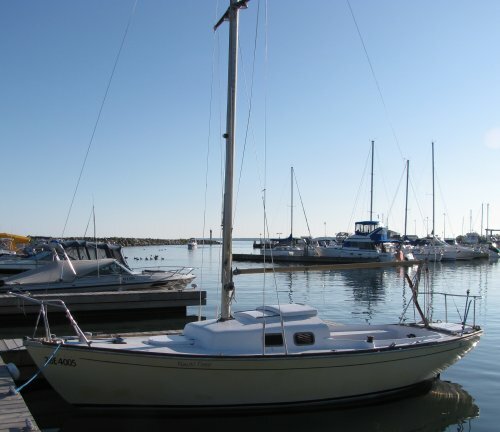 The photo here is of Jacks own boat, #17, built in 1967.